Can Tho (VNA) – The Mekong Delta city of Can Tho needs to develop logistics centres to meet increasing demand for the transportation of goods by international and domestic airlines. Vo Thanh Thong, chairman of the city’s People’s Committee, made the statement at a recent meeting with the Ministry of Industry and Trade (MoIT)’s delegation. He added that four businesses have put forward proposals to develop such centres in cooperation with the city. 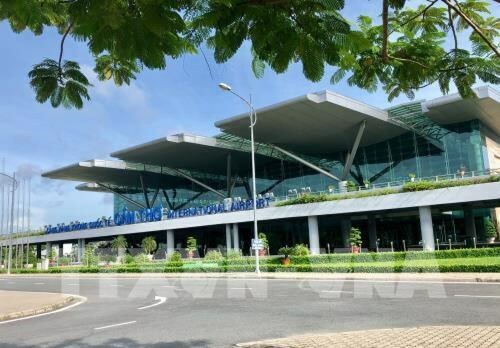 At present, Can Thơ International Airport is connected with Hanoi in the north, Da Nang in the central region, and Phu Quoc and Con Dao islands in the south. In 2019, the airport will be connected through five new domestic routes to the northern port city of Hai Phong, Thanh Hoa, Vinh, and Nha Trang in the central region, and Da Lat in the Central Highlands and two international routes to Bangkok (Thailand) and Kuala Lumpur (Malaysia). Municipal authorities are in the process of studying the four investors that have made proposals to choose suitable partners, according to the official. He said now the MoIT is in the process of talking with a Japanese partner about the development of a food processing centre in the Mekong Delta region. Under the project, an air logistics facility will be developed to serve the food processing centre. The minister also asked Can Tho to pay more attention to attracting enterprises, especially from the Republic of Korea and Japan.